Not all carpets in your home get the same daily treatment. Foot traffic varies from room to room, and the more traffic an area receives, the more dirt will accumulate on and in the carpet. Dirt is not your carpets only enemy; there are also stains from foodand drinks, and these can typically be found in the dining room, family room and media room. Naturally, the carpet in the rooms that your family uses the most to eat, watch TV or play games in will have the most dirt and stains. 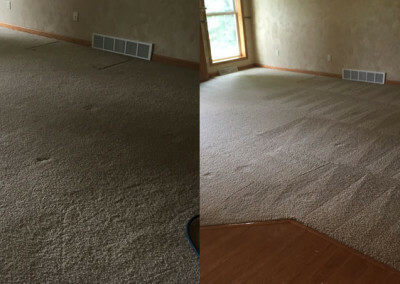 Residential carpet cleaning by Clean Pro of Wisconsin will bring back that fresh look your carpets once had. No matter the size of the home, or the style of carpeting we can deliver the highest quality carpet cleaning possible. We really care about the quality of our carpet cleaning, our professional technicians take extra time on your heavy traffic areas. With different grades and quality of carpet you can rest assure that our cleaning agents and products are designed to protect your carpeting. Removing foul odors and deep down ground in dirt is our specialty. We service all of Appleton, Neenah, Menasha, Kimberly, Kaukauna and Oshkosh, WI. 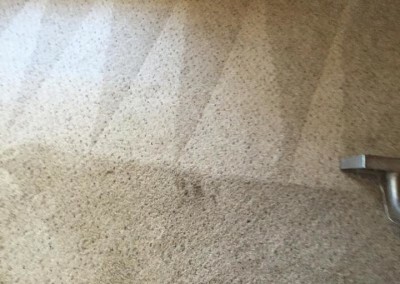 We leave your home with clean carpets and a fresh scent that it’s allergy free.